Eden Plaza Promotions Let's PARTY CREPES! Saturday 2nd February is the French party crepes day!!! 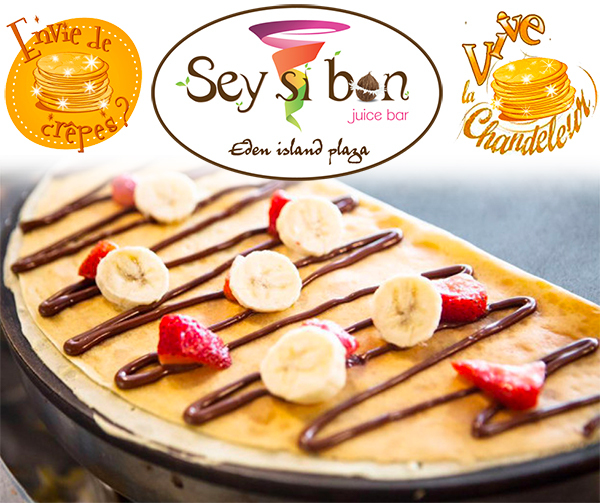 Come everyday to enjoy our best signature crepes & celebrate at SEY SI BON on Eden plaza.